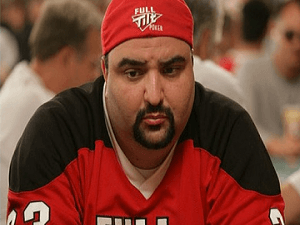 After surrendering to US authorities this past Monday, Ray Bitar, the embattled CEO of Full Tilt Poker, went before a judge in New York City where he plead not guilty to all charges leveled against him, and was granted bail, set at $250,000. However, the prosecution filed a motion to deny Bitar bail, and a second judge eventually decided that the bail amount will be raised to $2.4 million, with $1,000,000 due in cash. The Government considered Bitar a flight risk, stating “there is no condition or combination of conditions that will reasonably assure the defendant’s appearance in court,” citing Bitar’s attempts earlier this year to access a private bank account that contained over $24 million according to the government’s argument and his unwillingness to turn himself in in the aftermath of Black Friday. •	Bitar, a US citizen, had made several trips to the US during his time as Full Tilt Poker CEO, but these trips were halted in late 2010 after the government alleges Bitar received word that an indictment was in the works. •	After being indicted on April 15, 2011 Bitar, through his legal counsel at the time Richard Levitt, was in contact with US Department of Justice, who informed him consistently that to move forward he would have to turn himself in. Bitar chose to ignore these demands and remained in Ireland until this past Monday. •	Bitar remained in Ireland, remained in place as Full Tilt Poker CEO (despite attempts by shareholders to remove him from this position) and continued to run the company, stating that his role was too critical, and only he could broker a deal to save the floundering company. •	The government alleges that Bitar’s true motive for staying in power at this time was to conceal that Full Tilt Poker was nothing more than a “Ponzi scheme” owing players over $350 million with a scant $60 million on hand according to an internal company memo. The government alleges that Bitar continued to run Full Tilt Poker by using new player deposits to pay older debts and withdrawal requests, all the while claiming player funds were safe and secure in segregated accounts. •	Among the most heinous charges is that Full Tilt Poker shareholders were paid over $400 million over the previous years while the company continued to build an unmanageable shortfall of player funds. •	Compounding this problem was Full Tilt poker’s willingness to front player deposits, crediting player accounts without collecting the funds from the players’ bank and credit cards. This practice allegedly led to a further $100-$150 million shortfall.